Snow began to accumulate around noon Wednesday. 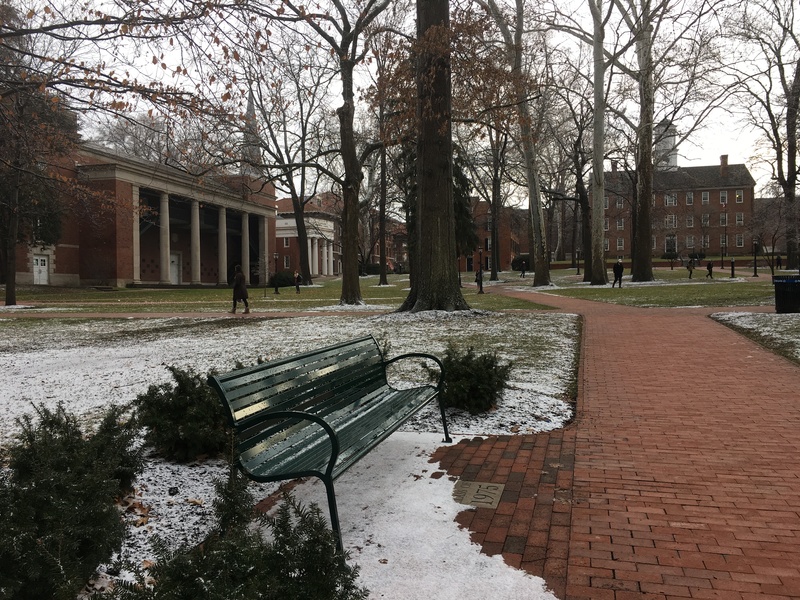 Residents of Athens prepared themselves for snow and ice after the National Weather Service issued a Winter Storm Warning for Athens County from 10 p.m. Tuesday until 4 p.m. Wednesday afternoon. 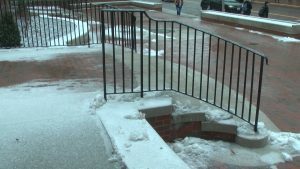 Ohio University custodial worker Michael Dailey normally takes care of Baker Center’s interior, but the chance of ice and snow leads to additional work salting outside. Dailey said the weather was not too bad, and appreciates the city’s proactive efforts to make driving safer in the snow. 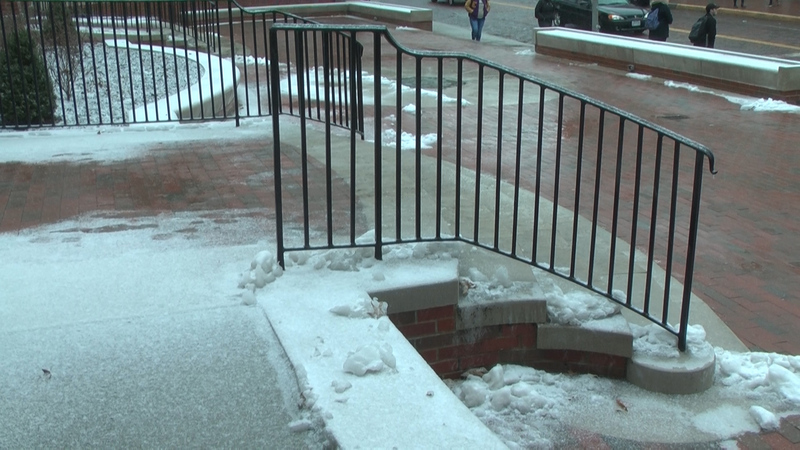 The stairs to College Green became slick when snow began to fall. When expecting poor driving conditions, Athens County Sheriff Rodney Smith’s deputies disperse throughout the county to evaluate road conditions. At 10:30 a.m., the Athens County Emergency Management Agency announced a level one snow emergency. It is the Sheriff’s decision to call snow emergencies. The levels are reported immediately, so drivers know to take proper precautions while driving. OU sophomore Adra Mcclintock commutes to Ohio University from Meigs County. She said she did not anticipate any cancellations despite the storm warning. She woke Wednesday morning to find her first class canceled, but did not find any trouble driving to class later in the day.